Many of our recommended hotels provide ideal settings for romantic getaways, engagements, weddings and honeymoons. The best hideaways prioritize intimacy and indulgence, making them perfect for relaxing, bonding and building lifelong memories. Our members found the following three retreats to be the most romantic. Private entrances, woodburning fireplaces and a lack of children play a big part in why Post Ranch Inn is our members’ choice for the Most Romantic Hotel. 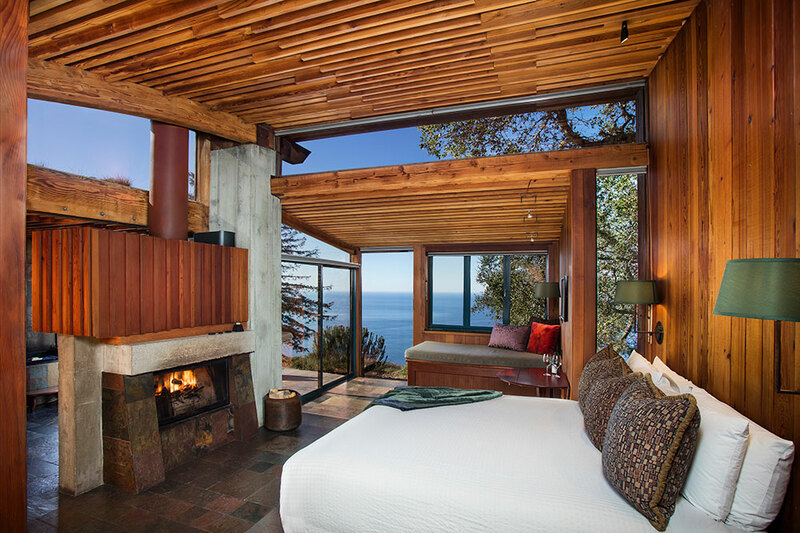 Just three hours from San Francisco, it’s the optimal place for a couple’s getaway, with Champagne on arrival, panoramic ocean views, cliffside hot tubs and heated infinity pools. Post Ranch Inn fosters romance at every turn. The most romantic way to start your evening: stargazing from your private terrace with a glass of wine from the award-winning wine cellar. At Twin Farms, a retreat set on 300 lush acres in central Vermont, the 10 private cottages are the most romantic accommodations. 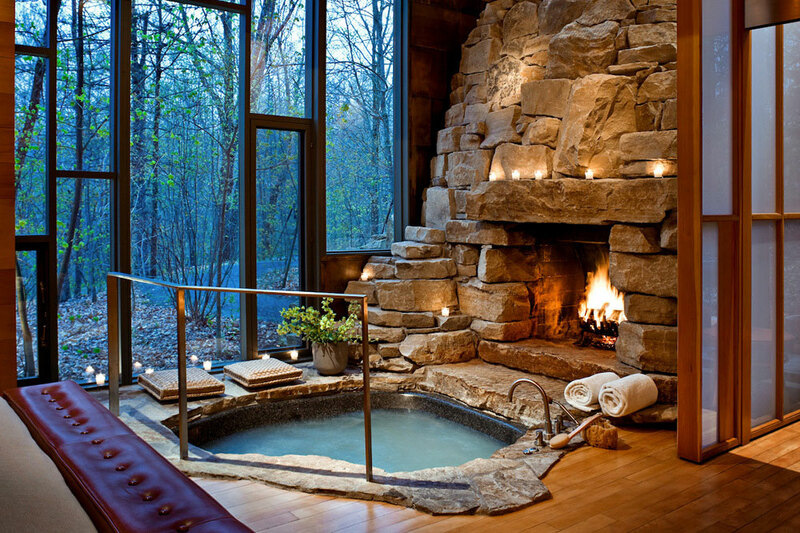 Book the Aviary to luxuriate in a natural stone hot tub facing a fireplace. Or opt for the Studio if you prefer your whirlpool al fresco. The property may be adults-only, but that doesn’t mean you can’t discover your inner child while sledding or ice skating. Afterward, warm up with your partner in the furo (Japanese soaking tub). The Twin Farms team can also curate one-of-a-kind experiences such as a sunset paddle across Copper Pond, or a rendezvous in the private wine cellar. A stay at the 190-room Le Bristol is unforgettable. 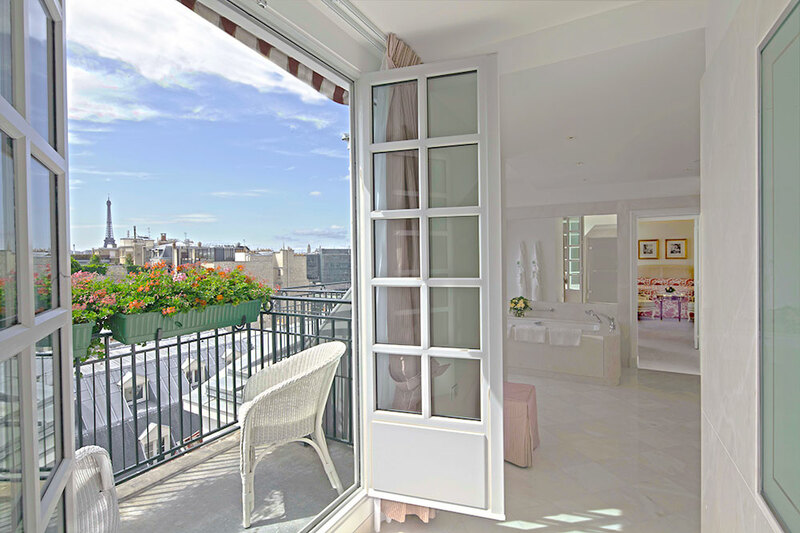 While all accommodations are steeped in romance, the Terrace Suite comes with a private flower-filled garden where guests can dine above the rooftops of Paris. The Honeymoon Suite offers a panoramic view from the hotel’s top floor. And there’s no need to leave when you can enjoy breakfast on a private balcony overlooking the Eiffel Tower, or have the hotel’s Michelin-starred chefs prepare dinner in your private kitchen.